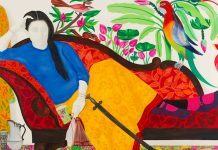 Bhand Pather is one of the most satirical and realistic dramas, one which incorporates mythological legends and contemporary social satire; a traditional mixture of art.Bhand Pather is a popular folk art of Kashmir. 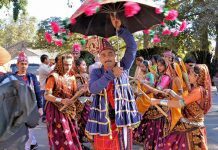 It is a form of traditional Kashmiri theatre that is passed down not just through families, but through entire villages. 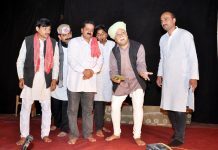 It is a traditional folk theatre, a mixture of play, music and dance in a satirical style, where social traditions, evils are depicted and performed in various social and cultural functions. The musical extravaganza is based on a central theme that is usually a satire and laced with wit and dry humor. The satires are full of irony and more often than not depict the triumph of the good over the evil. People celebrate the victory of the good by immersing themselves in loads of revelry. The Bhand Pather plays are satirical by tradition. Although the unwritten scripts often describe the days of when landlords were the oppressors of peasants, it plays political commentary which has great resonance today. Bhand Pather provides a voice, however small, for a people who would otherwise be silenced. 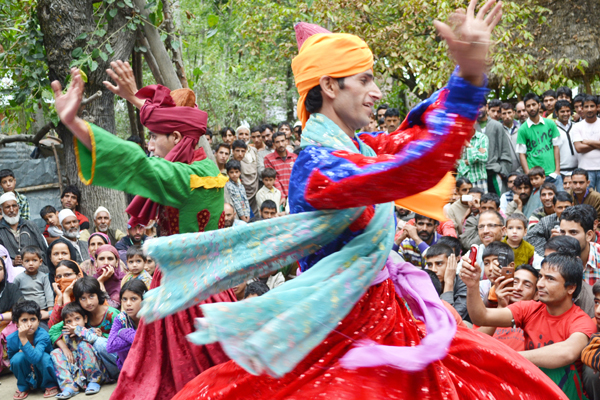 A beautiful blend of song, dance and drama makes up this highly fascinating folk theater a living cultural tradition of Kashmir. 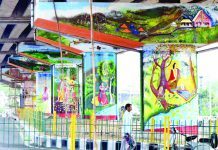 Bhand Pather has the power to connect with the masses. The people enjoy this form with the relevance of present situation of Kashmir and love the way Bhands educate the people. However, these artists suffer due to financial constraints. Mohd Sultan Mir President of Gulishtan Bhagat Theatre says that due to non availability of funds, Bhands of Kashmir have been driven towards poverty which cannot help them make their livelihood. Lt. Ghulam Ali Majboor, Lt. Sh. Subhan Bhagat, Lt. Moti Lal Kemmu, M.K. Raina, Balwant Thakur, Sh. Ravi Kemmu and Sh. Ghulam Mohi-u-Din Aijaz worked tirelessly to revive this dying traditional art back to its glory but unfortunately the government and other agencies never paid any attention towards the form which is one of the most important tools of peace and prosperity. 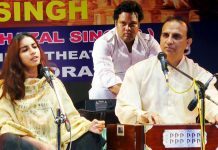 A project ‘Revival Bhand Pather’ which was supported by Sangeet Natak Akademi, New Delhi in the year 2011, 2012 and 2015 has played a key role to engage traditional Bhand performers from all over Kashmir. 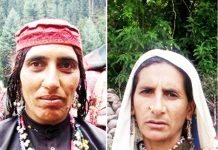 In the year 2011, a 10 day residential workshop was organised in Gagribal, Srinagar in which 20 representatives from 20 different theatre groups from 20 different villages in Kashmir were involved. 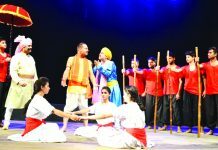 20 new concepts related to the current scenario of Kashmir come from the participating playwrights. The themes were mostly associated with people’s suffering and concerns about educational system, drug menace, corruption, normalcy, peace and prosperity etc. 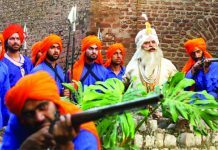 These themes came in a form of theatrical productions in Bhand Pather style and were staged in twenty different places of Kashmir for huge crowds in the open air. 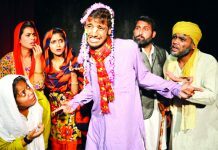 In 2012 and 2015, again, new 40 plays were produced and staged covering the entire length and breadth of Kashmir valley. “Due to the sudden decline of this form of art in Kashmir, artists have shifted to other professions, such as weaving wicker baskets for kangris (firepots used in chilling winter), woollen sweaters, and carpets. The other part time jobs that attract them now are of masons, carpenters, and shopkeepers” says Shah-e-Jahan Ahmed (National Awardee) Director of National Bhand Theatre, Budgam. “Theatre is a reflection of society. 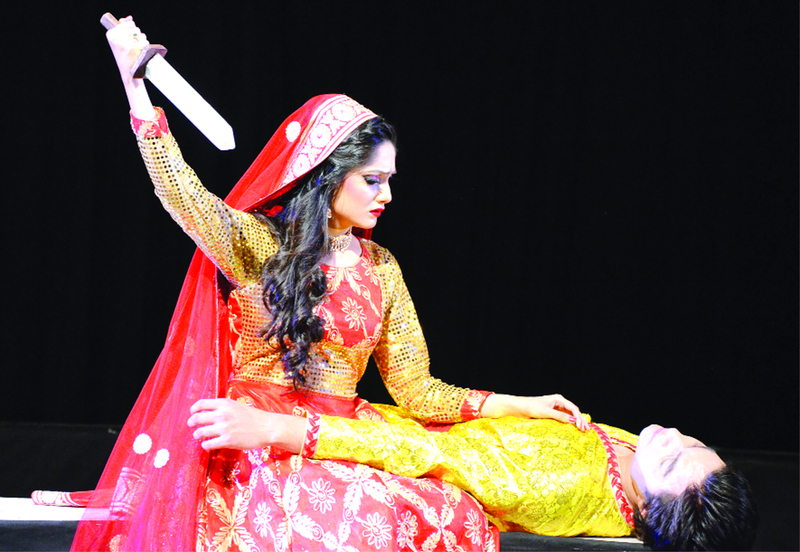 One must understand the fact that without engraving and promoting the cultural ethos of Kashmir, we cannot change the theatre scenario in Kashmir. We stand nowhere and will have identity crisis one day as we are leaving our roots” says Bhand artiste of Wathoora, Budgam.